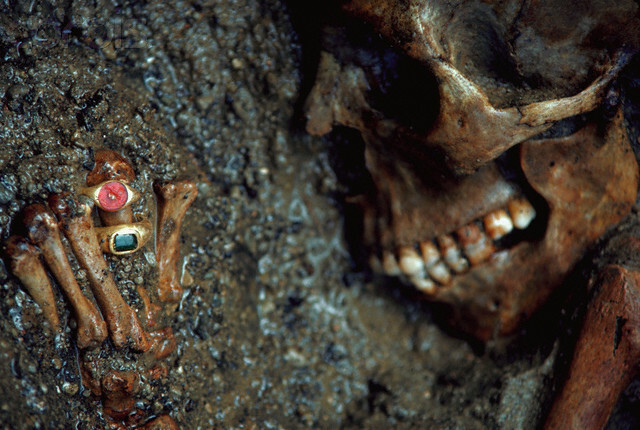 Thanks to the discovery of the skeletons was possible to study the state of health in the time of death. 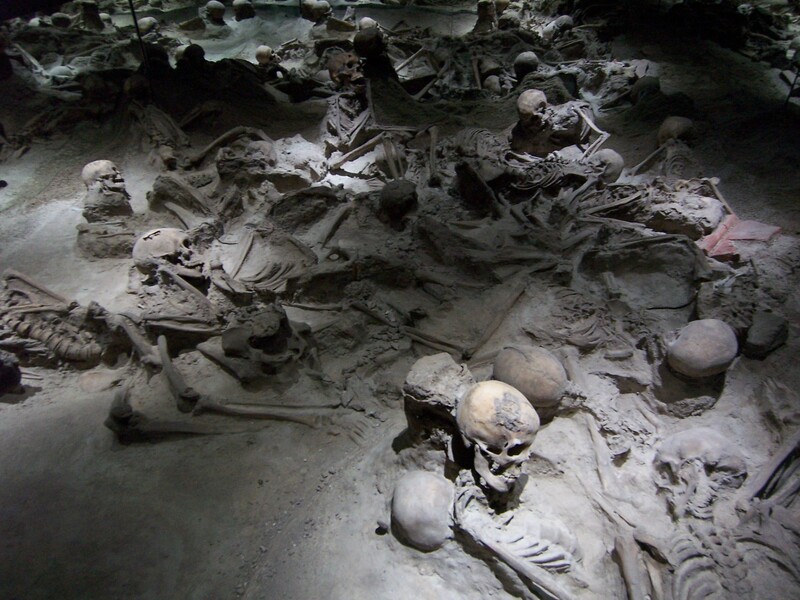 The skeletons of 139 Herculaneans (51 males, 49 females and 39 children) trapped by the volcanic eruption of Mt. 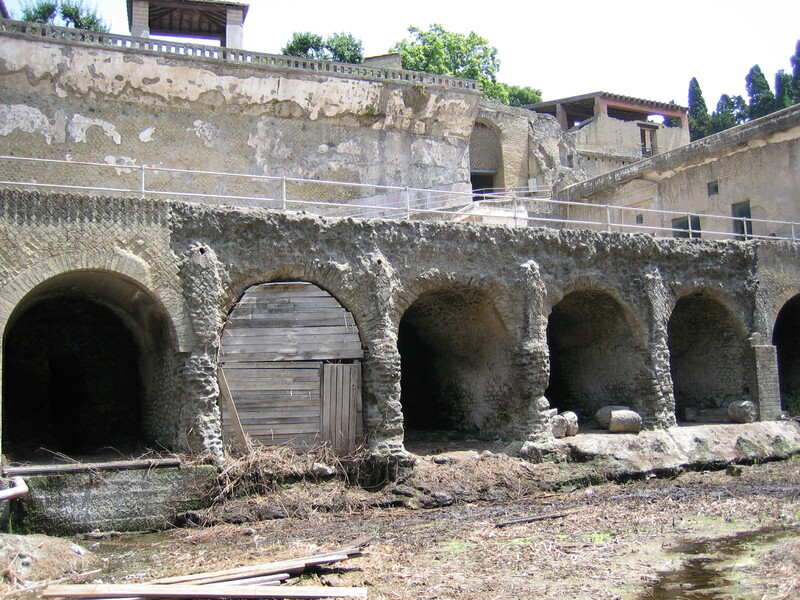 Vesuvius in A.D. 79 were studied by observation, measurement and chemical analysis. In general, this population had excellent teeth with few lesions and edge-bite occlusion. Twenty-seven percent had some degree of hypo plastic lines in the dental enamel, suggesting that childhood illnesses were common. The ancient population was taller than modern Neapolitans, but shorter than modern Americans. Also, their children grew at a slower rate than Americans of the same ages. Biochemical analysis suggests that their diet was more dependent on sea fish than on red meat. Lead analysis shows slightly higher values for the adult male population than for the females. Some degree of arthritis was apparent in 42% of the population. Traumata occurred to 22.7% of these people. Signs of healed anemia in any degree are present in 34.1%; etiology could have been nutritional deficiency or heterozygotes thalassemia. Two individuals and their pathologies are presented: one case of congenital bilateral hip dysplasia and the other of healed rickets.